Foligno accidentally ran over Ian Cole in the neutral zone. Atkinson got behind D and poke check by Grubauer. Blue Jackets getting first PP with Oshie to the box for hooking Atkinson at 14:42. Shout out to the @Redskins ' @Mason_Foster for getting us hyped before Game 1! Correction: Oshie called for hook, but it wasn't against Atkinson. One shot on goal for Blue Jackets on the PP. Kempny down after being hit by Anderson. Kempny appears to be bleeding from face. Has towel on face at least. And Anderson appears to have been ejected. PPG Caps. Either Kuznetsov or Oshie at 17:52. Maybe a challenge for goalie interference. Anderson received 5 minute boarding major and game misconduct for hit on Kempny. Kuznetsov's pass from left circle went off Murray in front. Maybe off Oshie too. Blue Jackets challenging for goalie interference. Oshie didn't touch it. 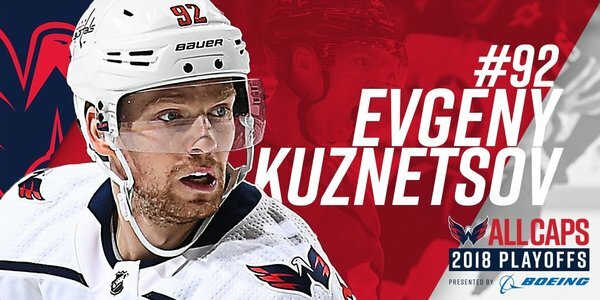 Kuznetsov gets the PPG with 2:08 left in first. Caps remain on the major PP. Kuznetsov shot from left circle beats The Bob high glove with 1:39 left in first. Caps remain on major PP. 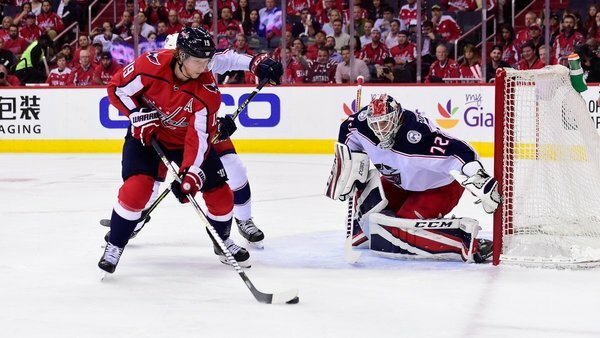 The challenge by the Blue Jackets actually allowed the Caps to rest their first PP unit so they were able to stay on the ice and score again. After first period, Capitals lead Blue Jackets 2-0. Both goals by Kuznetsov. Shots on goal are 9-4 for Caps. Caps will have 2:23 left on major PP to begin 2nd. 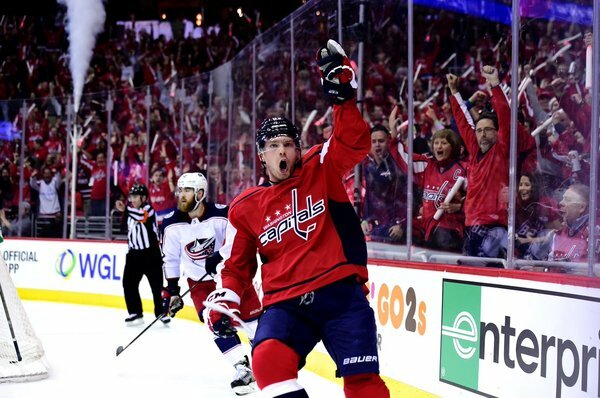 The scoring on both Capitals PP goals was Kuznetsov from Backstrom and Carlson. I don't see Kempny back for start of second period. Caps still on major PP for 2:23.